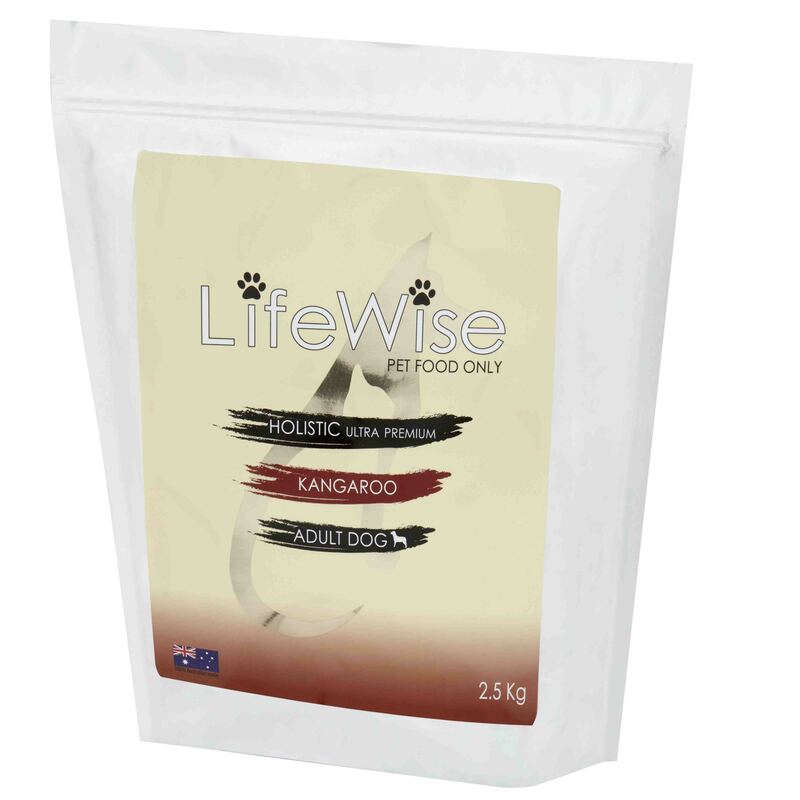 A scientifically balanced, holistic and hypoallergenic food that is suitable for all dogs, but is especially useful for all animals with sensitive stomachs or those suffering from Irritable Bowel Syndrome. 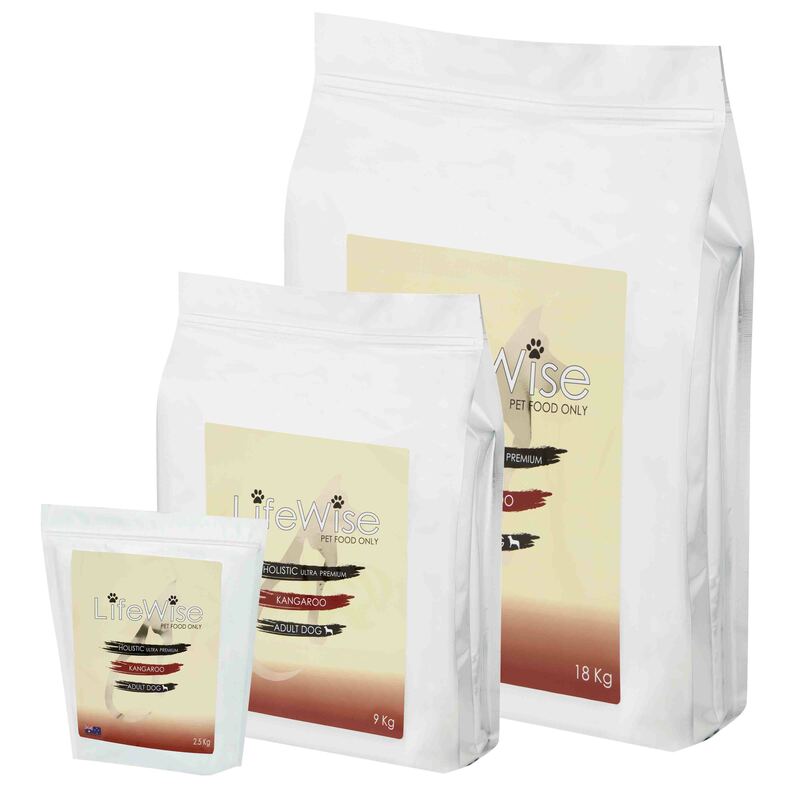 This food contains a balanced supply of herbs plus yeast extract for optimal intestinal and general health. Also contains Yucca schidigera extract, and is free of gluten, GMO’s and dairy products. 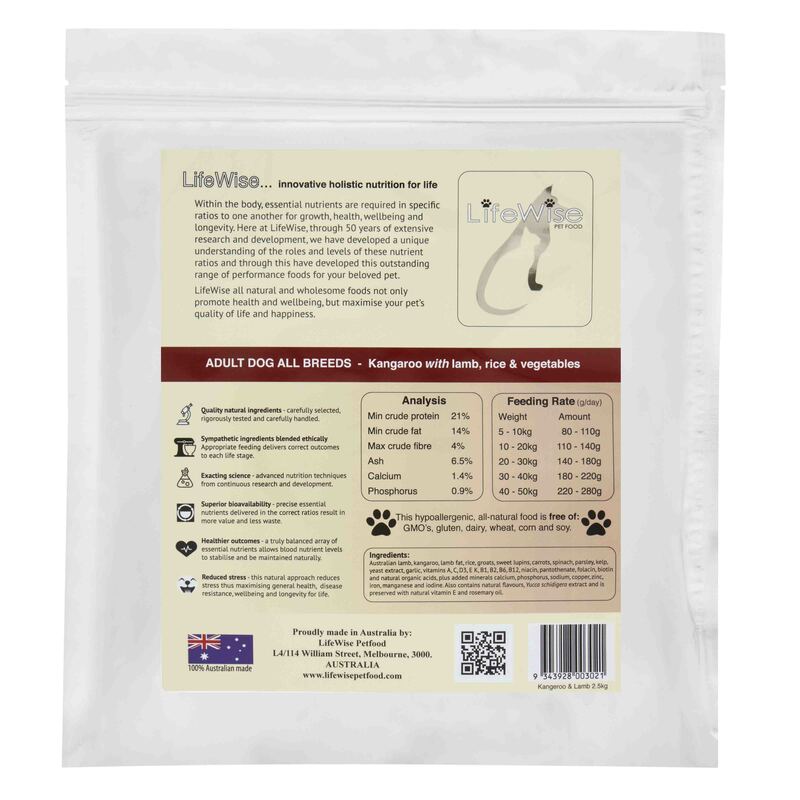 Wild kangaroo, Australian lamb, lamb fat, rice, groats, sweet lupins, alfalfa, carrots, spinach, parsley, kelp, yeast extract, vitamins A, C, D3, E, K, B1, B2, B6, B12, niacin, pantothenate, folacin, biotin, and natural organic acids, plus added minerals calcium, phosphorus, sodium, copper, zinc, iron, manganese and iodine. Also contains natural flavours, Yucca schidigera extract and is preserved with natural vitamin E and rosemary oil.